There are 44 reviews of Pi Neo. A better than average mainstream aquatic. It goes on with a mix of blue raspberry cotton candy and that Windex ammonia smell. Given time, cinnamon and mace come through, adding pie spices to the candy-sweet ammonia smell. In terms of scents like this, I've enjoyed Pi Neo more than most, partially because scents of this sort almost always use the same artificial grape topnotes and the use of artificial raspberry candy instead does a lot to separate it from the herd. It also seems to be better put together than its brethren, achieving an odd sort of of symmetry between the fruit candy, Windex, and spices that most of these scents lack, often content to wallow in their own chemical ick. All that being said, I'm still voting thumbs down because I hate Windex/ammonia aquatics, but it's worth noting that this is one of the better ones. I don't DISLIKE this one. I just am so biased in favor of the original classic Pi fragrance, one of my all time faves in the oriental scent family. 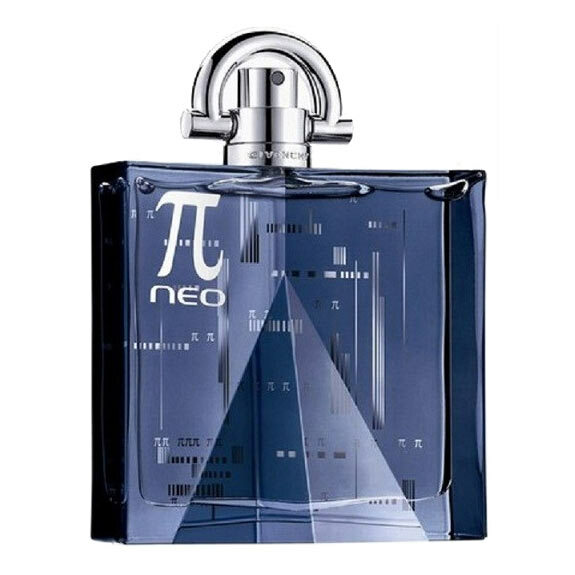 Take the name to really mean "A new take on Pi": Not as linear and deep as the original, though with a lot of interesting patchouli and wood notes going on. It seems a bit chaotic for my tastes, though it does elicit compliments from some. An acquired taste scent. Don't even know why I don't give this a thumbs up...or buy it? Hmm...not worth the full retail, mediocre longevity, and to me, a fairly boring smell...like 2% of the original Pi and Davidoff's Adventure together. Just forgettable, and not that enjoyable to begin with. This is not one of my favorite of PI line.Original version is much better for me because i find it Romantic, Seductive and Lovely but this one is so far from it.Common,Average and Simplistic. Yes in my opinion it is not Original and i can not say something particular about it minus The bottle!Definitely one of those The bottle is Gorgeous and Charming but The scent is another narrative! At the begining is Fresh when first sprayed The Bergamot and Mandarin orange are apparent but not too strong.In fact is a combination of Citrusy,Clean and Youth.The base is like plastic on my skin! Anyway PI NEO is more a DAYTIME scent than a Nighttime.It is suitable for the office because it is inoffensive and it should be worn in the SPRING/AUTUMN weather However you can not have expect a Amazing or Unique fragrance. This is a pleasing fragrance but not as great as the original Pi. not at all. The opening is a fresh, green and sweet citrusy scent along with lavender and musk. The citruses here are not tart but they do have a fresh feeling and mixing with sweet and green notes creates a sweet and fresh fruity aura that kind of smells like green apple. The sweetness is both in vanilla way and musky. Also I can smell some fresh lavender here as well that gives the scent an aromatic bitter fresh feel. Nice and pleasing opening but smells very generic. As time passes fresh and green (specially green) feeling of the scent settles down and scent gets more sweet and powdery. I can also smell a peppery aroma in the background that smells like soft black pepper note (maybe it's patchouli) and at the same time with these changes lavender gets stronger. The base is an aromatic bitter lavender note along with soft powdery sweet smell and some fresh notes in the background and a little bit of pepper and overall creates a bitter fresh and very masculine aroma and I like this part of the fragrance most. Projection is average for around half and hour and then it sticks to the skin and longevity never goes more that 3 hours on my skin! Nice smell specially in the base of the fragrance but bad projection and longevity. GIVENCHY PI NEO 1.7 OZ / 50 ML EDT SPRAY , BRAND NEW , BOXED, SEALED . There are no member images of Pi Neo yet. Why not be the first? 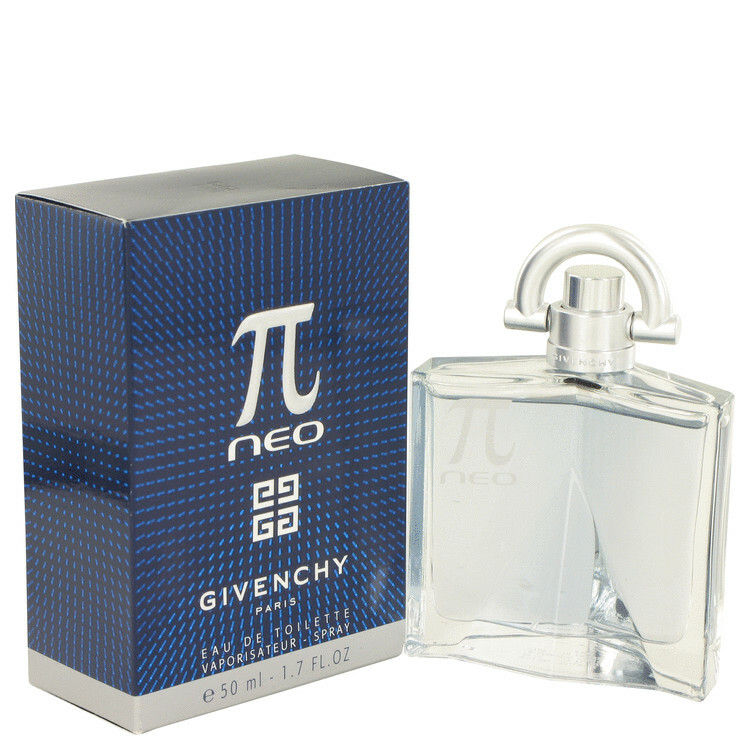 Thoughts on Givenchy pi neo ? "Givenchy pi neo Tropical paradise", a new hidden gem ?